CoinEx is a global and professional exchange founded in December 2017. This platform declared their dedication to building a highly secure, stable, and efficient digital exchange for global users, supporting multiple languages and are providing trading services in nearly 100 countries. 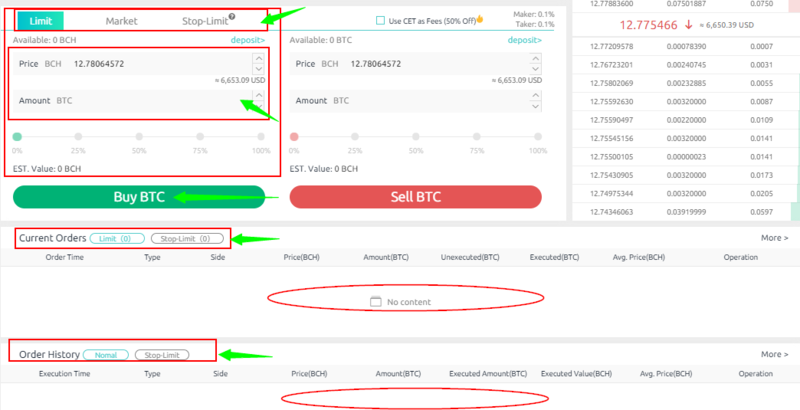 Here is a step by step image guide on how to buy Ethereum Classic (ETC) on CoinEx. We will guide you on how to open an account on CoinEx. Let’s start by accessing the exchange site here. Once the site is up, click on “Sign up” to start creating your CoinEx profile. Type in your email address and click on “Get code.” The code will be sent out to the email address you’ve entered. Locate that code in your Inbox and paste it into its dedicated space. Type in your preferred password and re-confirm it. 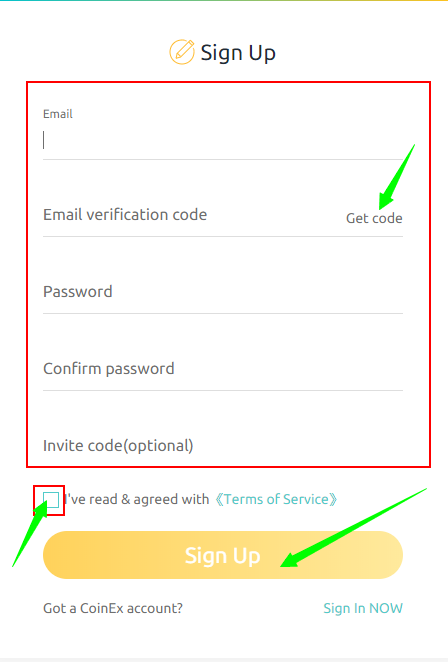 Enter an “Invite code” if you have one, then check the agreement box. Click on “Sign up” to continue. Easy, right? You have signed up for a CoinEx account. As you know, validating your account is extremely important. Also, without proper account validation, taking advantage of every feature CoinEx has to offer is not possible. The page will then load to the “Account” page where you’d get to see different menus. Click on “My Info” to start the ID verification process. 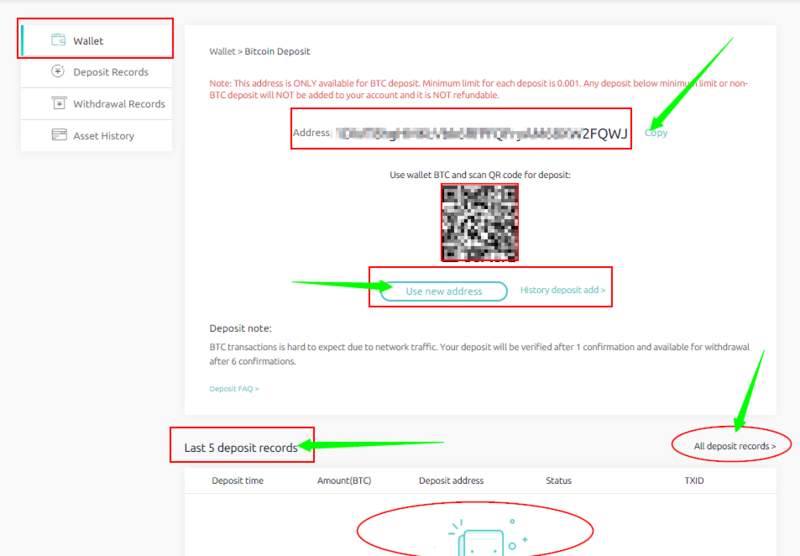 Click on “Verify” and upload the required documents asked by the system (Note that this process is only available once 2FA has been activated on your CoinEx account). The status will then change to “Verified” after CoinEx has approved the ID photos you’ve submitted. Awesome! You have verified your identity on CoinEx. In the case of exchanges, what the user has are his/her login details such as the username and password. The form of 2FA that a user possesses for this instance is a token or code. The code can be received either through SMS on user’s mobile phone or via applications like Google Authenticator or Authy. To activate 2FA on CoinEx, click on “Bind now.” You will see this pop-up box if you happen to go to ID Verification without activating 2FA first. Scan the barcode and enter the six-digit code. 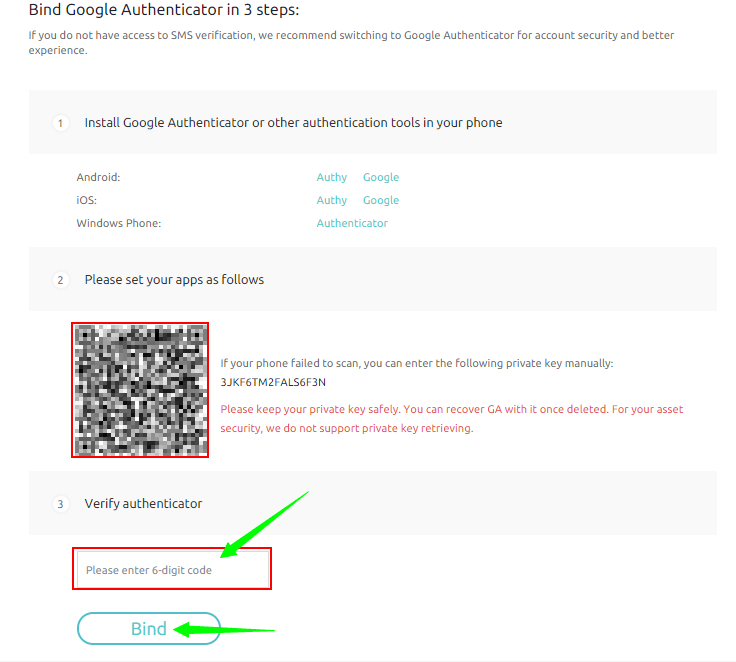 You also need to back up the 16-digit security key to recover Google Authentication in case your phone is lost or stolen. Click on “Bind” to continue. The status will then change to “Already binded” confirming that you have successfully activated 2FA on your CoinEx account. Way to go! You have secured your CoinEx account. You can now deposit money on your confirmed and verified CoinEx account. With CoinEx, you can deposit cryptocurrencies like Ethereum Classic (ETC). To get started, click on “Wallet” to view the list of cryptocurrencies available. After making your selection, click on “Deposit” next to the Ethereum Classic (ETC) of your choice. There you go! You have funded Ethereum Classic (ETC) on your CoinEx account. You can now use the funds that you have deposited on your CoinEx account to trade or buy your first Ethereum Classic (ETC). To do this, click on “Exchange” and select your currency from the list available at the left side of the CoinEx trading page. There is a lot of helpful information accessible on this page that you could use as your reference before making any transaction. Once you have picked your currency, scroll down and go to the “Buy” area. Here, you can select the type of order that you would want to use (Limit, Market, Stop-Limit). Type in your amount and click on “Buy Ethereum Classic (ETC)” to continue. You can view your recent orders or previous transactions under “Current Orders” and “Order History” located at the bottom of the trading page. Congratulations on buying your first Ethereum Classic (ETC) on CoinEx. Transferring Ethereum Classic (ETC) from CoinEx to other exchanges. How to transfer Ethereum Classic (ETC) from CoinEx to BTCTrade? How to transfer Ethereum Classic (ETC) from CoinEx to Kraken? How to transfer Ethereum Classic (ETC) from CoinEx to OKEx? How to transfer Ethereum Classic (ETC) from CoinEx to Bibox? How to transfer Ethereum Classic (ETC) from CoinEx to CoinFlux? How to transfer Ethereum Classic (ETC) from CoinEx to OKCoin? How to transfer Ethereum Classic (ETC) from CoinEx to EXMO? How to transfer Ethereum Classic (ETC) from CoinEx to BitMEX? Transferring Ethereum Classic (ETC) from CoinEx to wallets. How to buy Ethereum Classic (ETC) on BitMEX? How to buy Ethereum Classic (ETC) on OKCoin? How to buy Ethereum Classic (ETC) on CoinFlux? How to buy Ethereum Classic (ETC) on Changelly? How to buy Ethereum Classic (ETC) on Kraken?